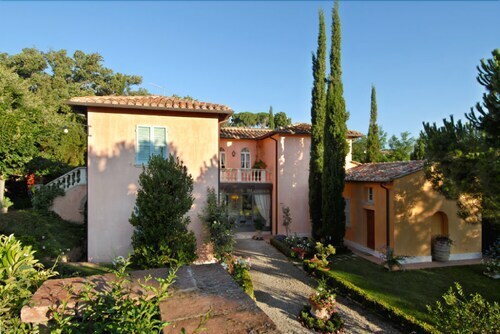 Bossoncina 8+1 Sleeps, Villa With Private Pool at Exclusive Use! 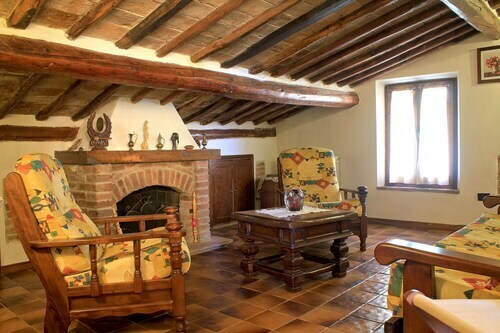 Situated in the mountains, this historic property is steps from Val di Chiana and Church of St. Agnes. Colonna del Marzocco and Palazzo Avignonesi are also within 5 minutes. 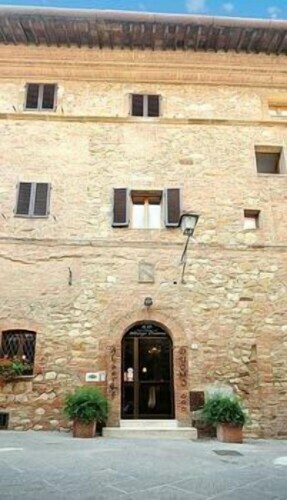 Situated in Montepulciano, this guesthouse is steps from Val di Chiana and Church of St. Agnes. Colonna del Marzocco and Palazzo Avignonesi are also within 10 minutes. 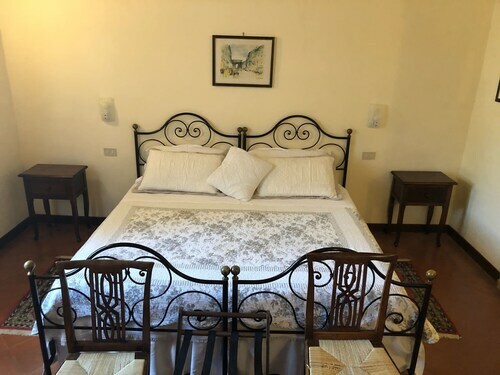 Situated in Montepulciano, this bed & breakfast is steps from Val di Chiana, Colonna del Marzocco, and Palazzo Avignonesi. 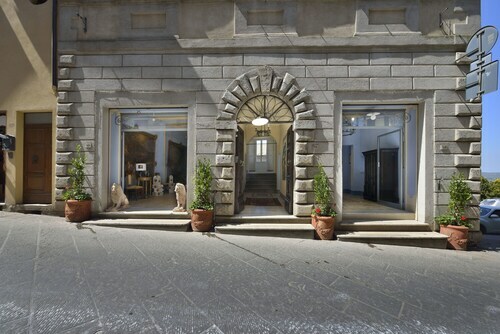 Palazzo Cocconi and Palazzo di Bucelli are also within 5 minutes. 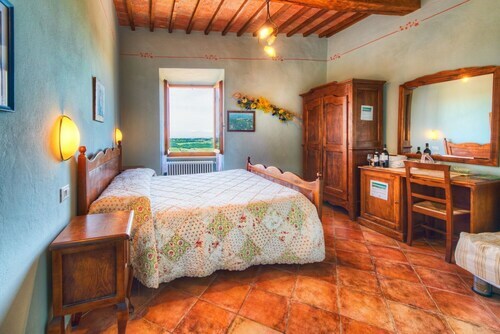 Situated in a rural location, this vacation home is steps from Val di Chiana and Church of St. Agnes. Colonna del Marzocco and Palazzo Avignonesi are also within 10 minutes. Church of St. Agnes, a site of sacred value, is a brilliant place to get to know the local religion and culture. It is in Val di Chiana, so if you are flying into Rome, the nation's capital, you will have a distance of 90 miles (145 kilometers) to go. With no less than 25 accommodation options within 2 miles (3 kilometers) of Church of St. Agnes, it'll be simple to find a room that ticks all of your boxes. The Il Tosco and the Palazzo Carletti are a couple of choices and they're only 0.6 miles (1.0 kilometer) and 0.4 miles (0.6 kilometers) away. You can also check out the Etruria Resort & Natural Spa, just 0.2 miles (0.3 kilometers) away. You can make big savings without losing out on quality at one of the value hotels in the area. 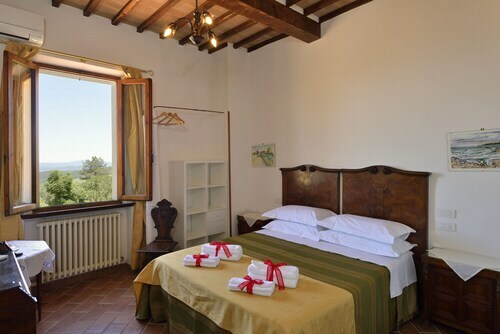 The Fattoria San Martino and the Bed & Breakfast Vicolo dell’Oste are two examples. They're 0.6 miles (1.0 kilometer) and 0.4 miles (0.6 kilometers) away, respectively. Are you someone who has luxurious tastes? You can find a handful of top-rated hotels conveniently situated just a short drive away. 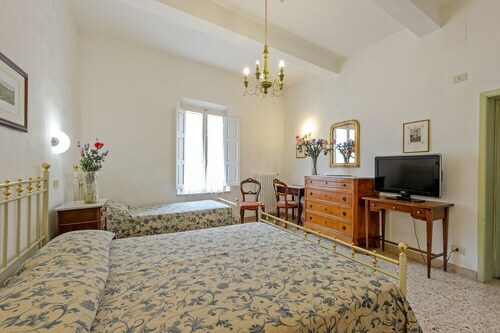 You may want to check availability at the Alexander Hotel Palme and Hotel Rotelle. With all of the excitement of traveling, it can be easy to forget to eat. Just a short walk away, Bar Gelateria La Crocetta HAPPY HOUR is the perfect place to refuel for the afternoon. However, if your belly's starting to rumble, you can try Pizzeria Linda, also close by. Round out a long day with some refreshing drinks at Vanni Debora, another short walk away, and raise a glass to your poor colleagues back in the office. 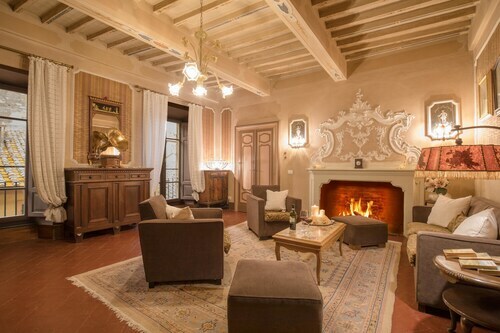 Chat with some locals at Palazzo Avignonesi, and get better acquainted with the region. You ought to stop by Church of St. Augustine. Although this local house of worship is frequently visited by tourists, you need to inquire about the tour times if you want to spend some time inside the building. If you become lost at any point in your adventures, try to spot Torre di Pulcinella, an important building in the local area. Responsible for the presentation and safekeeping of noteworthy artworks, Civic Museum is a wonderful place for lovers of art. Spend time walking up and down Via Ricci, a vibrant local street. How Much is a Hotel Room in Church of St. Agnes? Hotels in Church of St. Agnes start at $78 per night. Prices and availability subject to change. Additional terms may apply.